The use of extended trailers by haulage providers could provide a considerable boost to the capacity of the UK logistics sector, as well as improving the ability of businesses to reduce their environmental impact. Relating to the use of longer semi-trailers of 14.6 and 15.65 metres in length – 17.5 and 18.55 metres total vehicle length respectively – the Department for Transport (DfT) is carrying out a ten-year trial of the technology to determine its benefits and drawbacks for the nation as a whole. Launched in 2012, the DfT offered 1,800 licences for the use of longer vehicle trailers to haulage providers up and down the country and now the government body is in the process of re-issuing up to 400 of these licences that had previously been taken on but are no longer required. Making the announcement, transport minister Claire Perry commented: "This is the last chance for freight operators to take part in a scheme that is helping hauliers boost trade and industry. "Longer trailers allow companies to transport more goods, more efficiently and can have significant economic and environmental benefits. I'd like to see all of these allocations used so we can see fewer unnecessary journeys on our roads." 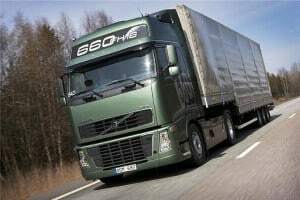 Hauliers already holding a licence for the use of these longer trailers can also apply for further licences to extend the number of vehicles they operate that can utilise this technology. All vehicles using these extended trailers must also adhere to the UK's existing domestic weight limit (44 tonnes for vehicles of six axles). Set to run until the end of 2022, the DfT's trial aims to provide a considerable boost to the national economy – an estimated £33 million in transport sector savings – while the scheme will also help to reduce the level of carbon emissions from the industry by approximately 3,000 tonnes. These extended trailers mean operators can potentially fit more goods into every load that is being transported, resulting in a reduced number of vehicle miles to transport the same amount of goods, as well as lower emissions, reduced fuel and maintenance costs for hauliers, fewer heavy goods vehicles on the nation's roads and lower levels of congestion as a result. All participants taking part in the DfT's extended trailer trial are committed to providing data to the government on the performance of the technology, highlighting any areas where problems arise in addition to the potential environmental and economic savings they provide. At present, the government has not committed to the use of these longer trailers beyond the current trial period and therefore it is imperative that a positive impact can be demonstrated by the industry at its end if the future use of longer trailers in the UK is to be guaranteed. Operators have now been given until the end of September to make their applications for these last 400 licences, with each approved company having to commit to have these extended trailers in operation across their fleets within six weeks from their acceptance. To date, it is estimated that in just the first two years of the scheme, between 600,000 and 900,000 vehicle kilometres have been saved by use of the longer semi-trailers in the UK so far. Managing director for policy and communication at the Freight Transport Association James Hookham stated: "The results of the trial so far have been encouraging and we are keen that those operators who can put these trailers into use on work for which they are suitable should be able to do so. "This process for reallocating unused permits should help operators to do that, thus securing an essential contribution to industry's carbon reduction programme." He added longer trailers are not suitable for use in all industries, but they can provide a considerable boost to efficiency for those operators where the goods carried are high in volume and low in weight, as vehicle fill can be significantly improved in these instances. Meanwhile, director of policy at the Road Haulage Association Jack Semple said: "This is a very welcome announcement, especially the department's approach in offering the same opportunity to every haulier, regardless of the size of his fleet." Overall, the UK logistics sector has welcomed the rollout of these licences and hopes that a focus on improved efficiency within the logistics industry will not only prove a bonus to individual businesses across the sector, but to the economy as a whole.